Get a little help from your friends! 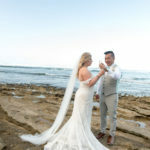 In Oahu its can get pretty warm and humid, especially in a wedding dress or a suit! 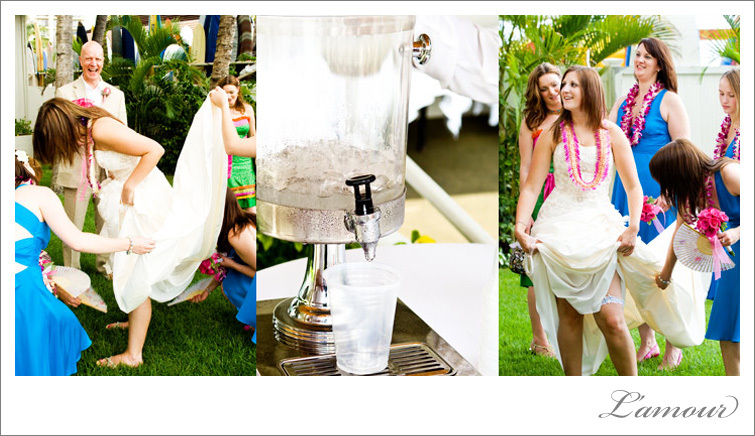 Don’t risk overheating, ask your bridesmaids to help cool you off. 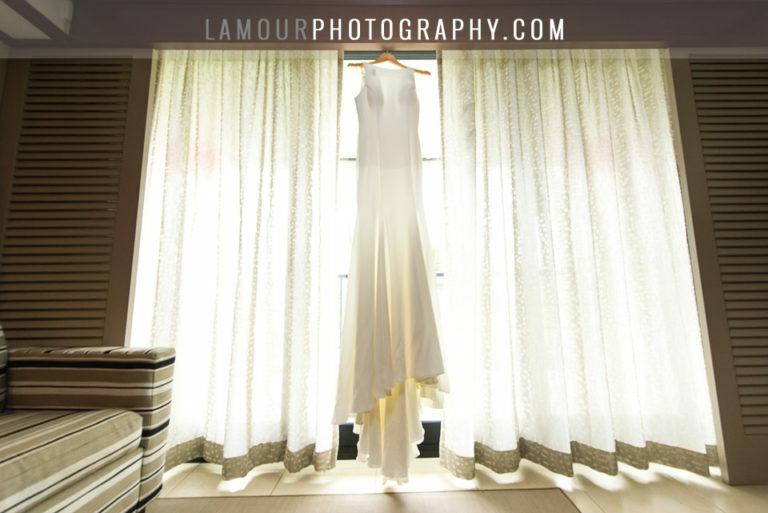 Hannah’s bridesmaids used their cute fans to get the air flowing under the multi-layered wedding dress. 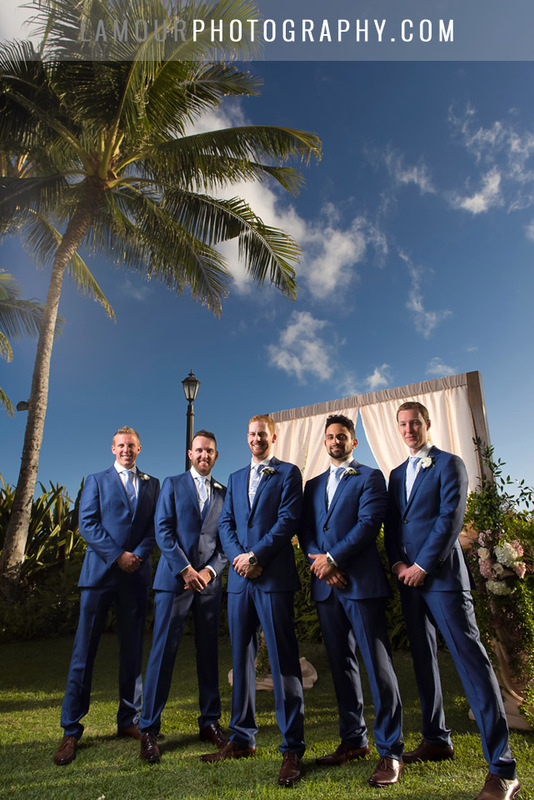 The Moana Surfrider provided the wedding party with an ice-cold water dispenser which became a popular hang out area during the portrait session on the Diamond Lawn. Surprise your bridesmaids with hidden gifts!